Is there a Propeller footprint for KiCAD? Okay, I fell for that one. Where can I find it? I didn't see it in the libraries I got when I downloaded KiCAD v4. I've been playing with KiCad for a few days now and I feel more comfortable with it than I did with my $1K Diptrace. I started with version 4.07 which was very good but today I switched to the pre release version 5.0 and I like it even better. A really nice 3D viewer and a Python console for scripts should be useful. So I have had enough of good experience to justify switching over to KiCad. Yup, the Python scripting support is on the whole very good. I've done scripts that export a KiCad netlist from PCB, (for change checking), and one that creates a Pin-list spreadsheet table, with Main connector pin / netname / Sub connectors. I may just check out differences with the Windows version perhaps. Great responses thanks everyone. I need to do another progress graph (perhaps tonight) including McCad and Expresspcb and others. I remember having a version of McCad now for my Macs but I found it easier to just use MacDraw layers as I could create a library of footprints etc. At one place I worked we had a guy who would do the layouts using Protel Autotrax but he was sloppy and lazy and would make a train wreck of a circuit so I changed over to PCs and learnt to use Autotrax and get it right. Then came Windows 3 (ugh) and Protel for Windows was dead slow but sped up on 3.1. So eventually I started using Protel99SE but one of the reasons I didn't "upgrade" this was because the small Tasmanian company eventually became Altium, a public company, and the software prices went through the roof. Why upgrade when 99SE does everything you need? Yes, that's when I stopped upgrading too. IIRC it went from ~$600 to ~$2K and next time I looked I think it was approaching $5K. I'd still be using Win98SE too if my PCs and software would run on it. 98SE didn't bug you to upgrade, grab your PC at the worst times, and the latest - bug you "Would you recommend W10 to a friend?" If I had the time I'd answer "no" but I know its then going to ask me a whole lot of questions. When people say they are using, for example, Protel99SE, does that actually mean a version from 1999? Is it really so that people are stuck on two decades old versions of software for whatever reason? People uses what they are used to until necessity make them to switch to something other. There is a new learning curve on every new sw which people normally prefer to avoid. I used OrCad at school (386/486) and Protel PCB and Protel SCH on Amiga 2000 at home in the late eighties. Then as a logic consequence I switched to Protel98/99SE on Windows platform and later to its successor Altium Designer even if I use perhaps 35% of its features. I want to lay out PC boards, not spend time learning the ins, outs, and quirks of a new software package so I stick with what I am familiar with until I really need to change to a newer/better one. Diptrace has one. Well formatted. The schematic portion is laid out in a form that is very easy to read and connect, but still formats as a q44 on the pcb designer. Ha, just noticed the KiCad base files, including 70 MB of footprints, comes to 210 MB. However, the additional 3D models of the footprint packages is an additional 4.3 GB! Yes, KiCad is quite petit by modern application standards. 1) Currently use DesignSpark PCB. 2) Been keeping an eye on KiCad, plan to learn it when I get a chance. DesignSpark PCB is not open source, but it is free to use. It is provided by RS Components (an international distributor headquartered in the UK, not related to Radio Shack) and Allied Electronics (here in the US, owned by the same parent as RS Components). They also offer free mechanical and electrical CAD packages and other software tools. Their website is https://www.rs-online.com/designspark/home . Unlike some free software, DesignSpark PCB doesn't have arbitrary limits on number of components or board size, and outputs standard gerber files, as well as the newer ODB++ format. It supports multilayer boards, including power, ground planes, etc., though it doesn't support blind or buried vias. It has an autorouter (not the greatest, but I generally don't use them anyway). It can import Eagle files. It is a customized lesser-sibling to the commercially-available Pulsonix PCB design software. In short, it isn't the package I'd use for large dense motherboards with lots of BGAs and specialized needs, but it covers many commercial user needs adequately - including mine. I've used it for designing a number of controller and interface boards, and it has held up well. They update it regularly, adding features. They do have tech support and an online forum. I've chimed in on their forums, helping other users from time to time out of appreciation for the availability of the software. Some parts libraries are installed along with the software. They also have a built-in wizards for creating your own parts. It also has integrated access to the SamacSys on-line part library, which includes the Propeller chips. If a part isn't in the library, you can request that it be added (free, usually with < 2 day turnaround). In the past, I've also used Express PCB for small projects, and a range of commercial packages at different companies I've worked for. KiCad seemed too rough around the edges last time I did a serious look at which package to use, but it seems much improved now. I do plan to spend some time exploring the current version. I like that it is open source. Kicad. Have no need to change so no plans to learn something else. 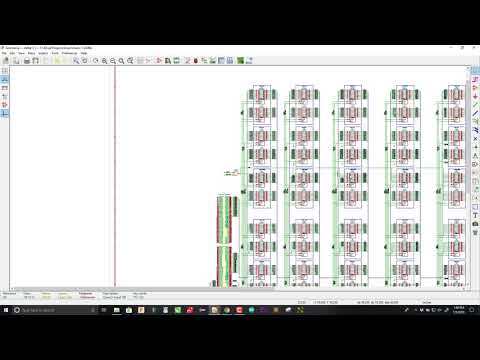 I think I found the best tutorial on using KiCad ever. Robert Baruch is busy designing and building a RISC V processor using good old fashioned logic chips. "Not on an FPGA" as he like to say. 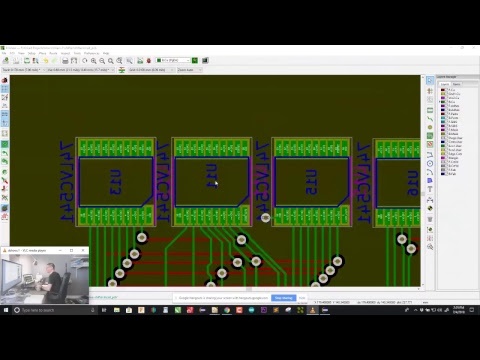 While designing the shifter board, which contains about 65 chips, he live streams to Youtube about 5 hours of him creating the schematic in KiCad from scratch, including creating some symbols for his library, then starting on the PCB layout, again including designing some footprints. He creates copper pours etc. The neat thing is that along the way he runs into all niggles and frustrations a new user would experience but he gets some excellent advice from people on the live chat as the stream progresses. Thus uncovering a lot of neat KiCad features one might take ages to discover otherwise. It's quite a big, complex, design so this is all very realistic usage. The whole workflow is there. Best of all it's all done in KiCad 5. Thanks for linking that one Heater. Gem. Why abandon eagle for Kicad? In short because of increasing expense and the new licencing model. As you will find in the long and winding thread jmg linked to. I think there is more to it though. A huge development in the software world in the last few decades has been the rise of Free and Open Source software. Which now powers a great deal of the global computing infrastructure. It has certainly enabled the dramatic growth of the internet, the world wide web and of course the likes of Google, Amazon, Facebook and co. In the FOSS world the idea is that software is available in source code form such that anyone can build it for themselves, enhance it, bug fix it, share it, etc. To that end, the software should be buildable with tools that are readily available to everyone. Which kind of dictates that those tools be available as FOSS as well. It would be kind of pointless to publish a program as Free software if the only compiler for it's source language was proprietary. If I design a schematic and/or PCB that I want to share with you and the rest of the world I'd probably better make sure I do it using tools that you and the rest of the world can also use. For many years the free version of Eagle was the tool to use for this purpose. Even if it is not Open Source software it was at least available to anyone with a PC. With the changes to Eagle licensing this is no longer an option. Also, open hardware designs are now often getting bigger than the limitations of the old free Eagle. The go to tool for such Open Source designers is now KiCad. 1. I currently use Eagle as my PCB designing software. 2. I seek to learn DipTrace as my next software. Now that I think about it more, the Autodesk subscription thing might be a great thing. I have a feeling that KiCAD is getting more users and probably becoming better. What? 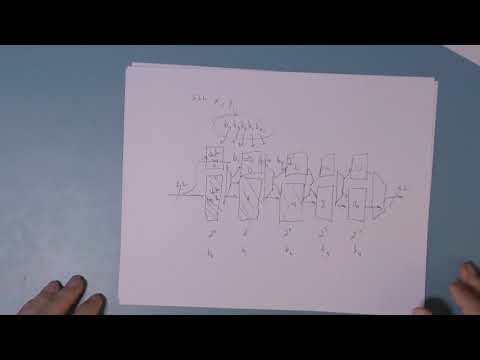 Does Autodesk even have a schematic capture, simulation, PCB layout offering? I have never heard of one. Suggest looking into the latest version of KiCad now.